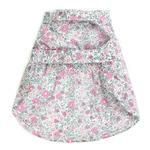 Brighten and lighten up your summer with the Worthy Dog Pink Floral Dog Dress! 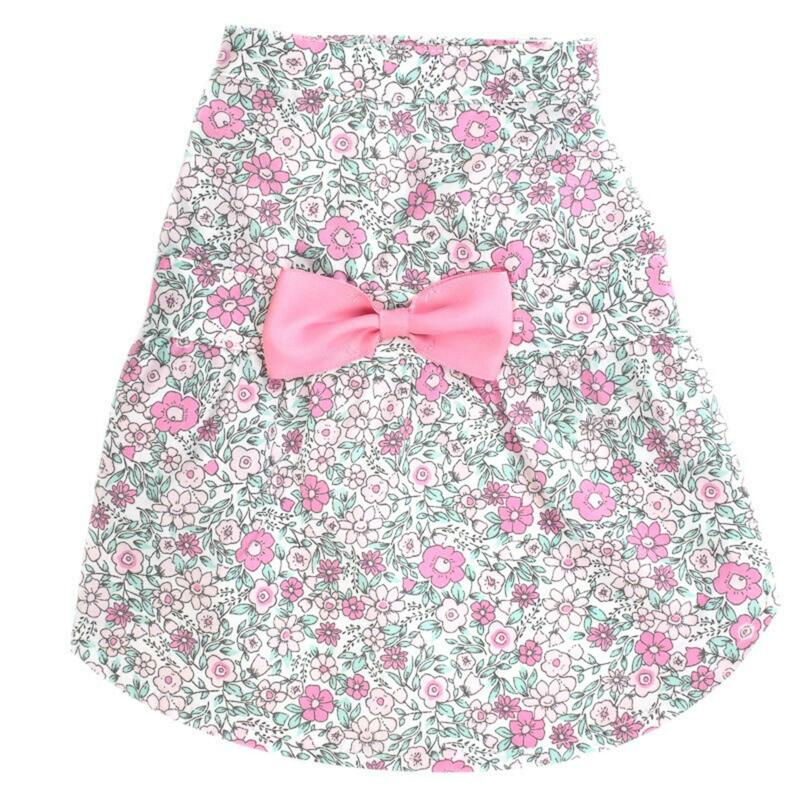 Your pretty pup will look adorable and ready for spring or summer with the fun Worthy Dog Pink Floral Dog Dress! Its classic floral print and pink bow accent are sure to turn heads while you and your pooch are painting the town! 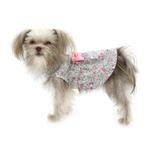 This dog dress features touch fasteners at the neck and waist for easy on/off and an adjustable fit. Its soft cotton and machine washability make it an instant dog and owner favorite! 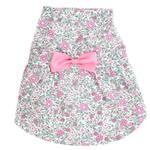 This sweet dog dress is ideal for attending baby showers, for an Easter dress, for shopping, or a garden party. Since it's so easy to put on in an instant, you'll find lots of occasions to have your precious pup standing out with this subtle print dress that lets your dog shine. In fact, this pet dress is so easy to use with an adjustable fit that even your cat might enjoy showing it off on her social media accounts in this darling dress! Though the dress is by Worthy Dog, your cat will find she's worthy too! Care: 100% cotton. Fasten the touch fastener straps before machine washing in warm water. Line dry or tumble dry low. Warm iron if necessary. Worthy Dog Pink Floral Dog Dress Customer Photos - Send us your photo! Lilly loves her new Easter dress. She’s definitely a girly girl and this dress is a great addition to her extremely large collection of clothes. Lola loves her party dress! She had one before this one that had thin straps that were always slipping off her shoulder and impeding her movement. The design of this dress is much better. It's simple, easy to put on, and everything stays in place. She was so beautiful at the Derby party! Posted On 02/13/19 by Nikki from Gaylord , MI Yes, Nikki recommends this product! Lilly owns almost every dress The Worthy Dog makes and they make a quality product. This one is no different and it’s adorable. You can’t go wrong with this dress. Great products, quality and arrived in great time and packaged well.